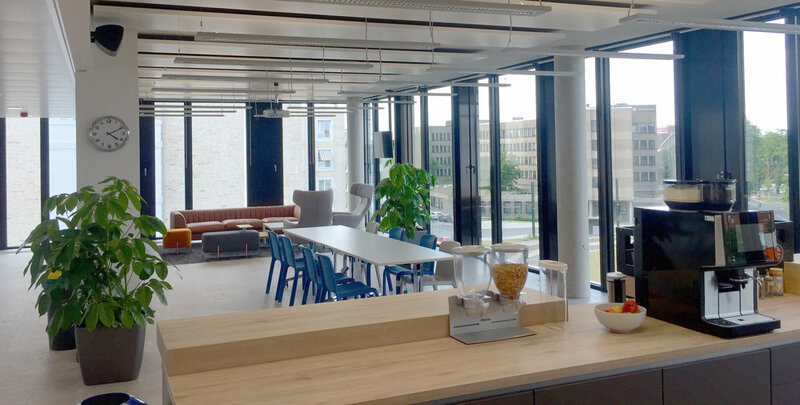 Following on from our work on Indeed's EMEA headquarters in Dublin, and their offices in London and Paris, MDO designed Indeed's new office for 180 staff in Dusseldorf. The office consists of three floors of reception, break-out areas, open plan desking, meeting rooms, phone booths, tea stations and canteen. The meeting room graphics for this project were developed with Peter Dwyer of Havas and use iconic German composers, bands, locations, and brands such as Bach, Toten Hosen, Sauerland and Black Forest as their starting point.